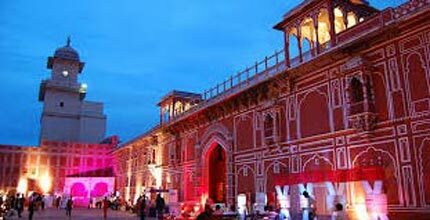 This morning you drive to Ranthambore either from Agra or Jaipur. 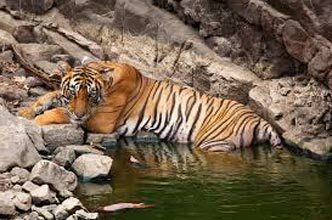 Ranthambore : The most conveniently located National Park in the North Indian state of Rajasthan, is considered by many to be one of India's most beautiful national parks .The Ranthambore National Park is one of the prime examples of Project Tiger's conservation efforts in Rajasthan. It covers an area of 400 sq km with many steep crags embracing a network of lakes and rivers. Atop one of these hills, the 10th century Ranthambore Fort stands like a silent sentinel. The terrain is a blend of impregnable forests and open bush land. The forest is the typically dry deciduous type with dhok being the most prominent tree. 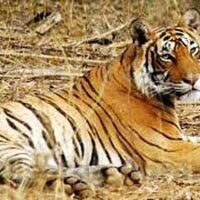 Ranthambore is best known for its tiger population, and tiger sightings are common here. Apart from tigers, the park has its share of panthers, too. Kachida Valley is believed to be the place to sight these rather elusive cats. One can also find marsh crocodiles, hyenas, jungle cats and sloth bears apart from Chital, Nilgai, and Chinkara. The avian population comprises of black storks, quails, Bonelli's eagles, spur fowls, crested serpent eagles and painted storks. During the winter months, the park attracts a lot of migratory birds, including a variety of ducks. It is the ideal park for wildlife photography. Upon arrival check-in at theVivanta byTajSawaiMadhopur Lodge. 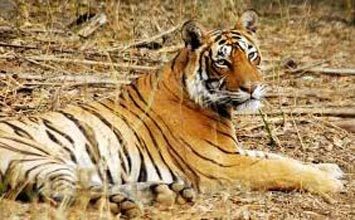 Vanya Vilas in Ranthambore: VanyaVilas is India's first luxury jungle camp and it is situated adjacent to the famous tiger sanctuary of Ranthambore. Accommodation is in 25 luxury air-conditioned tents, which are located to ensure maximum privacy. In true Oberoi Vilas style, each tent has a large well-appointed marble bathroom with freestanding, bathtub, separate shower stall and double vanity. The resort area totals almost 20 acres and yet only 5% is to be built upon, leaving space for the many trees and extensive natural flora, ensuring the natural beauty of the area is maintained.Leisure facilities at the Oberoi Vanya Vilas , include a Swimming Pool, a Banyan Tree Spa , a library, a fully stocked bar and Cigar lounge . 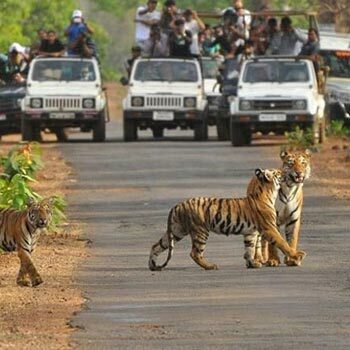 Early morning & evening game safaris into the Ranthambore National Park. 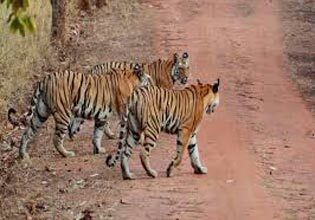 Safaris in Ranthambore are organized in jeeps and open air mini trucks, and local guides and naturalists are at hand to enhance the experience. 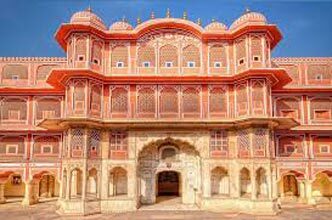 Adventurous Rajasthan Tour Package5 Days &..
Exhilarating Rajasthan Honeymoon Tour Pack..
Rajasthan Tour Package For Adventure Lover..